Last year was the year of Fancy Beiber grooming moves and Best-Dressed Men pulling off timeless tailored clothes along with ‘Hollywood poster cute boy’ looks that left us with jaw-dropping sensations! But, there is one important thing we learned this year from the 2018’s Grooming Overachievers. Bonus: This month our Special Contributors reveals their brief chat-sessions with A-list actors take on the last-minute fixes for the ultimate handsome face when parading the red-carpet! And so, here are 15 Skin Care Tips for Men to start following right now. A goof facial oil is essentially 2018’s one of the best skincare product for men. Using facial oil might seem as a counter-intuitive approach for men who already have oily complexion. However don’t let that thought overdrive you away from all the benefits of Essential Facial Oil for Men. Turns out, Men’s Grooming Essential aka the facial oil is worth the hype! A lightweight moisturizer when used along with facial oil delivers the goodness of 20’s flawless skin. This year is an opportunity to experiment different beard-styles and different lengths. 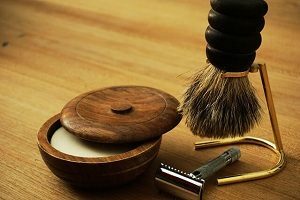 The key takeaway is that regular shaving is not good for skin and you might very well eliminate the electric trimmer from your cabinet. Call it an excuse or not, the fact is keeping your beards on is way forward for the handsome great skin. 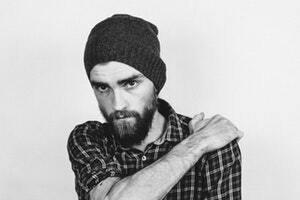 Beard oil one well-worthy skincare product. Oh yes, tried and tested the result of following the Korean skin care routine is spectacularly amazing for men even. Embrace the grooming habit of doubling up your facial cleansing process. ‘Double Cleanse’, exfoliate and moisturize for a better-looking cleaner future! Time to time our skin also need the wellness of protein-fix just as our body needs a post-workout protein smoothie. Mix up more collagen powder into your smoothies next time you hit the gym. Opting for a Men’s Collagen Cream is one way to maximize the process of the skincare regime. Embrace your messy looks for a healthy skin next year. Letting your beards grow will not only save you from the miseries of razor bumps but also promote overall skin benefits. Treat your feet with some of the best foot creams for cellular regeneration and foot-detoxification. These luxurious foot creams are designed not only to deliver the essential moisturizing effect but also to promote the health nail benefits. The beauty blogger’s in famous sheet mask selfies are actually worth the hype. Packed with essential serums these inexpensive sheet masks does surrealistic job of Skin-rejuvenation. Simply sit down and relax with a Shiseido Sheet mask on and let it fight the anti hangover tired looks in a glimpse of time. Make it a habit to go for professional facial treatments once a month. Getting the tailored skin care solution from an actual skincare expert is the cut through way to address serious grooming issues. Consulting with a qualified dermatologist might be expensive but totally worth it. One amazing Men’s Facial Treatment is chemical peel which delivers excellent firming results and brightening effects to skin. Amp up your grooming regime and recharge tour tired likes by incorporating 2018’s best skincare products for men. Chloro Plasma with detoxifying Chlorophyll micro capsules. Massage the facial oil combined with a thin layer of Facial Scrub when cleansing your face just before bedtime. Thus helps in gently detoxifying the skin. Right after skin detoxification massage your face in a circular motion with Vitamin C Activating oils. Other alternative to Activating Oil are the ones with Omega Fats in it. Eye Cream is the No. 1 weapon to fight tired skin. Pat eye cream gently around the areas of your eyes and let your skin absorb into its miracle treatment. If delving into the puzzling world of cosmetic necessities is not your thing then LED Professional In-House Facial Machine is the ultimate life saving option. To treat fines lines and for the ultimate anti-ageing treatment now is the type to invest in 3 of the Best In-House Skin Care Equipment’s. A simple but powerful way for combating serious skin issues takes only 5 minutes. Drench your face in a bowl of crystal clear water along with few ice cubes. Repeat 5 times. Doing so regularly takes only 5 minutes and any man can do this anywhere. Keeping up the habit is one sure-fire way to impart youthful radiance to your skin in next couple of weeks. Turns out, De-puffing Eye Gel and Men’s moisturizer is 2 of the top grooming products this year. Simultaneously, the most recommendable way to make the most out of skin moisturizer is to go for Collagen Anti Aging Cream Moisturizer for Men. Now that, a point-by-point guide for achieving the ultimate Oscar-worthy Skin is revealed it is time for you to master-up the very best version of yourself this Christmas. In the coming months, we’ll be continuing our effort on revealing some of the most in-depth and practical grooming routines of high-profile Gentlemen of the Year. And most particularly—- stay as the best male grooming venue for the upcoming year!